Rutabagas are one of those vegetables that I have wanted to make more often, but was clueless about how to prepare them, other than roasting. 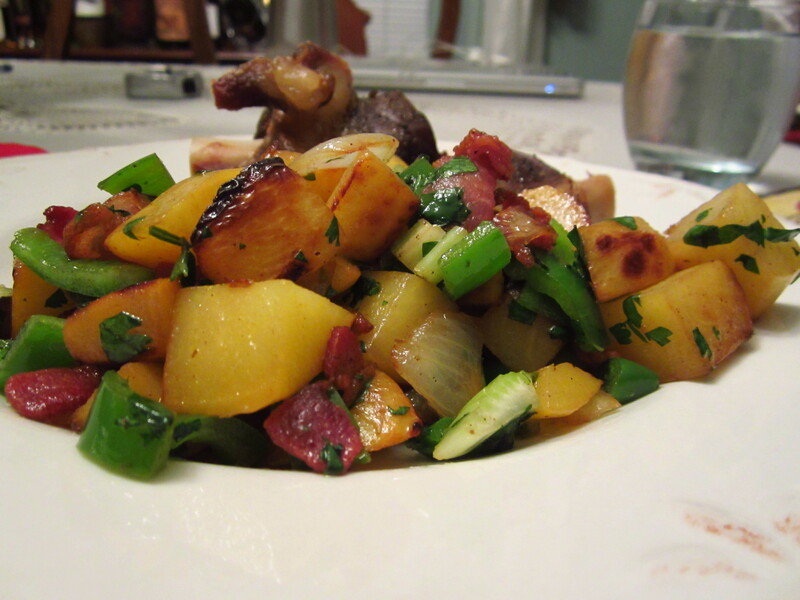 One of my favorite radio personalities, Lynne Rosetto Kasper, posted a Rutabaga Hash with Onions and Crisp Bacon on her website, The Splendid Table. As soon as I saw it, I knew I had to try it! It was a big hit and I’ll definitely be making it again. It wasn’t until after we ate that I realized I had forgotten to add salt or pepper, but I never noticed….this dish is very flavorful and colorful. Note: I met Lynne twice when she was in Seattle promoting her latest cookbook. She’s one of those people that talks to you like she’s known you all her life. Those encounters make me an even bigger fan of her radio show (and cookbooks).